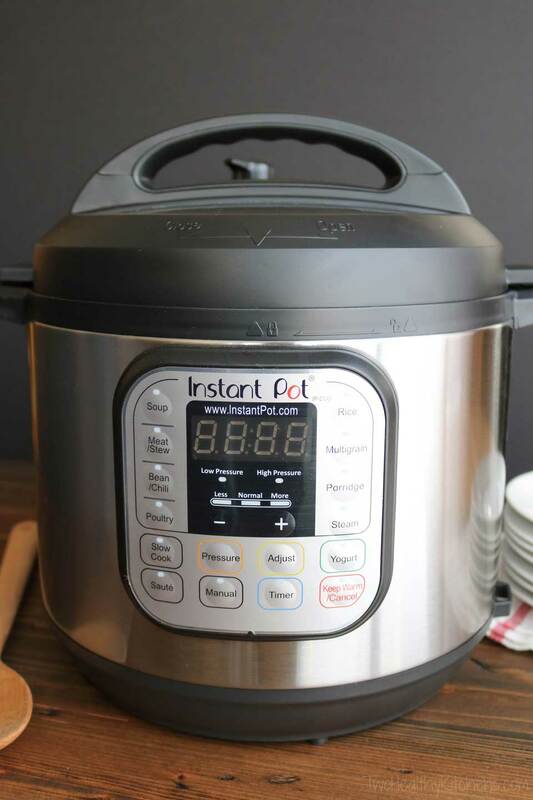 It seems that people pretty much fall into two camps: those who’ve tried the Instant Pot (and are in love, love, love) and those who haven’t quite gotten around to it yet (and are maybe even still wondering … “ummmmm … what???“). Can I tell you the embarrassing truth? 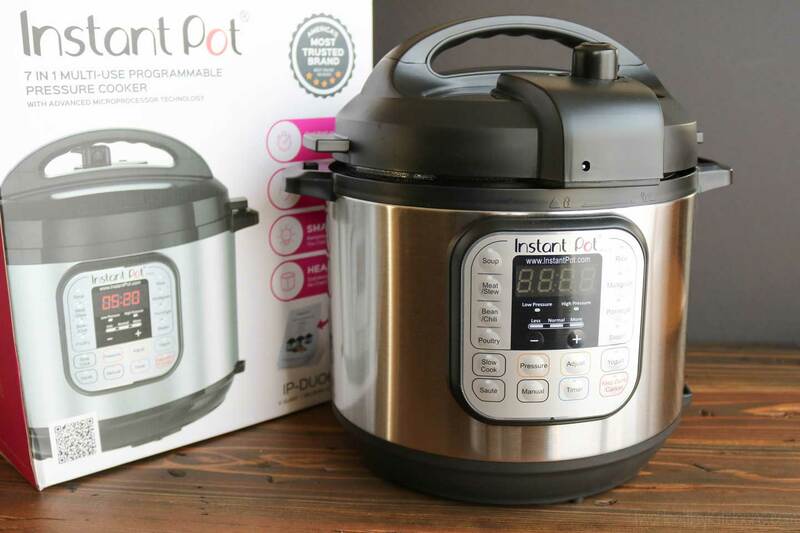 I was so ridiculously excited to get an Instant Pot, and after hours (not kidding!) of research, I finally picked one out (this one) … a year ago. A year! And then … nothing. It sat in the box. It beckoned. I ignored it. I always meant to get to it … maybe next week. But it just always seemed like too much mental overhead to tackle it – I was always a bit too busy to sort it all out and get started. Plus, I really wanted to jump right in, and start pumping out brand-new recipes I could share with all of you, which would take just a leeeetle learning, a leeeeeetle planning. So … maybe next week. But then next week became next year, and that’s just dumb. After my best friend (you remember Gretchen, right?) 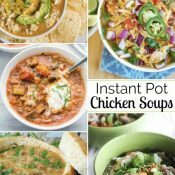 raved to me about how her new Instant Pot never leaves her counter, I couldn’t stand it any longer. I wanted in! But I was busy creating recipes for you guys … how would I make the time? 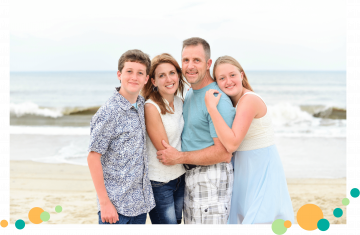 I finally realized that the only way I was going to dedicate the time to learning about my Instant Pot … and then actually using it, was to bring all of you along with me. 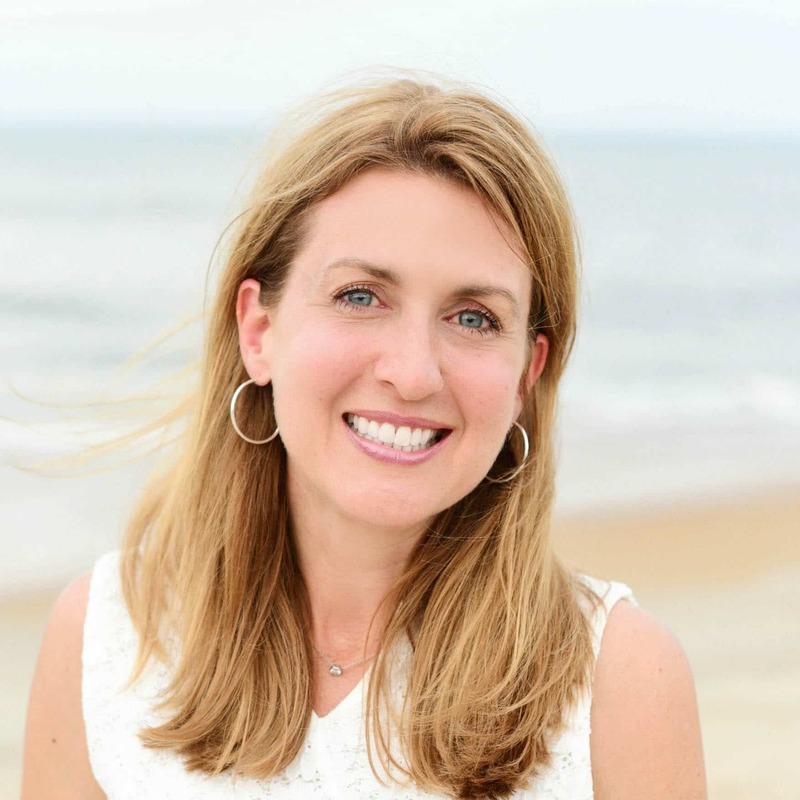 Rather than jumping right in to blog expertly about Instant Pot recipes I’d created, I needed to share the process of figuring it all out, the journey of discovery. If I was finding the whole thing a bit mystifying, then maybe some of you guys were, too! I told you we’re starting at the start! But this question isn’t as easy as it seems! 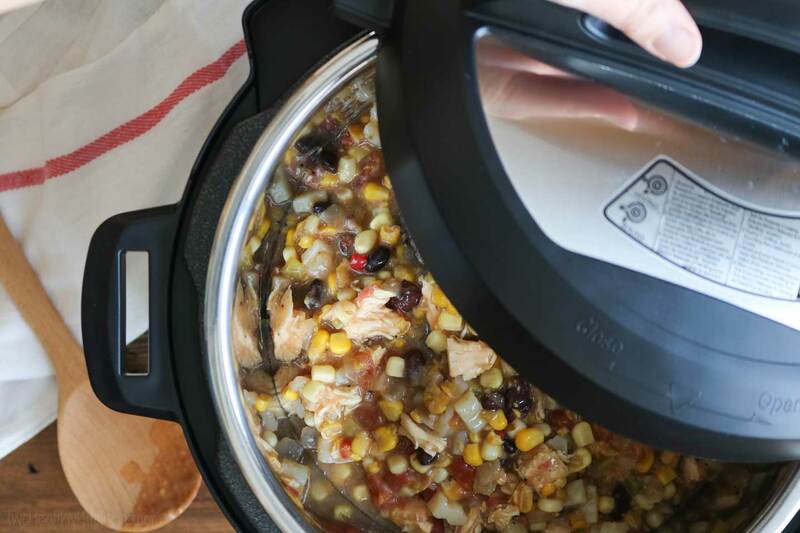 Basically, you’ll often hear the Instant Pot called a multicooker. and it can even sauté (especially handy if you want to brown ingredients before using the pressure cooking or slow cooker functions), and also keep food warm after cooking. And, according to thousands and thousands of super-happy and devoted fans, it actually does most all of these things pretty gosh-darn well. Huh. What’s in the box: Here’s everything my Instant Pot DUO60 came with (counterclockwise): stainless steel inner pot, steaming rack, plastic rice paddle and soup spoon, measuring cup, and condensation collector. Is the Instant Pot a Pressure Cooker? Yep! Well … more or less. 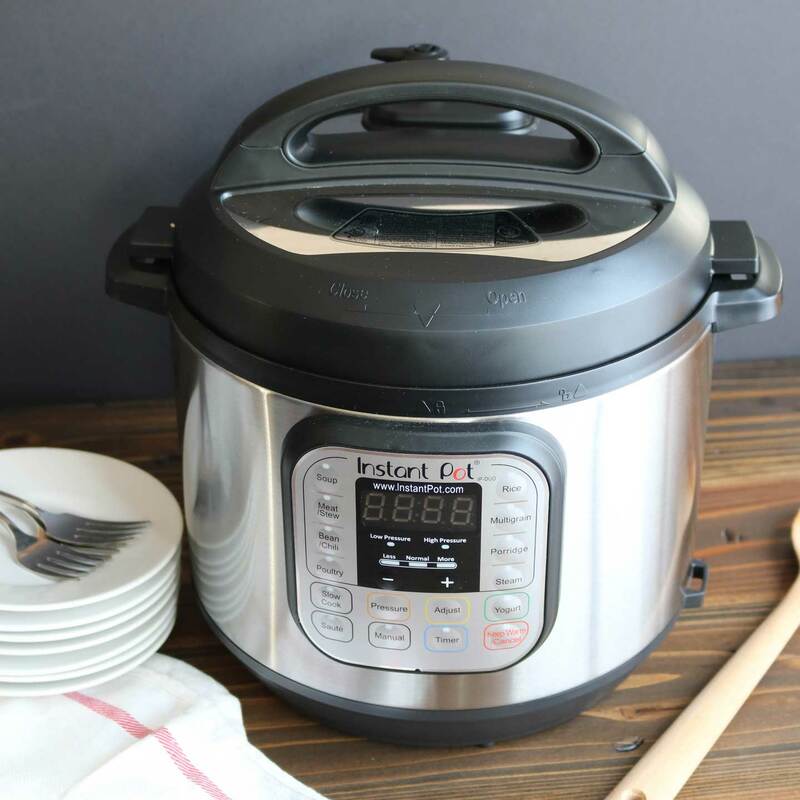 Absolutely, one of its functions is as an electric pressure cooker, and that’s often what people think of first when envisioning how they’ll use their Instant Pot – specifically as a pressure cooker. 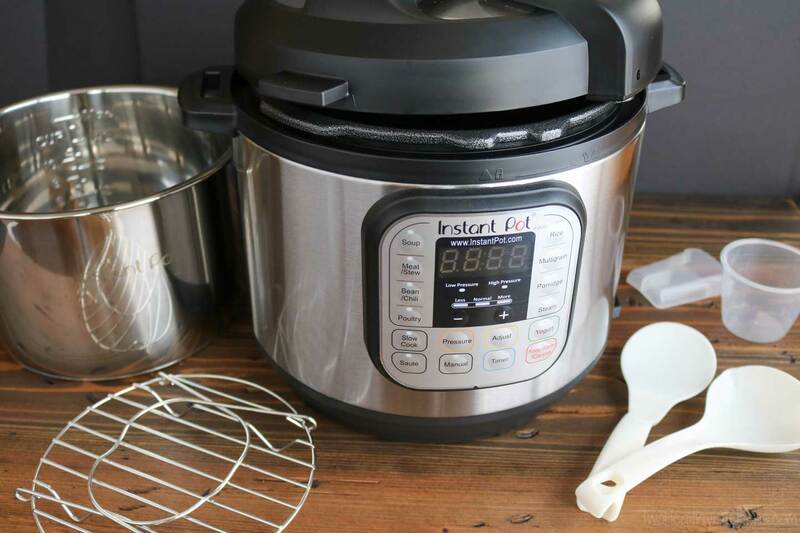 The Instant Pot is basically the newest generation of pressure cooker, evolved out of the terrifying models that grandmas used to have rattling away on their stoves, threatening to blow up if you looked at them cross-eyed (only sort of kidding). 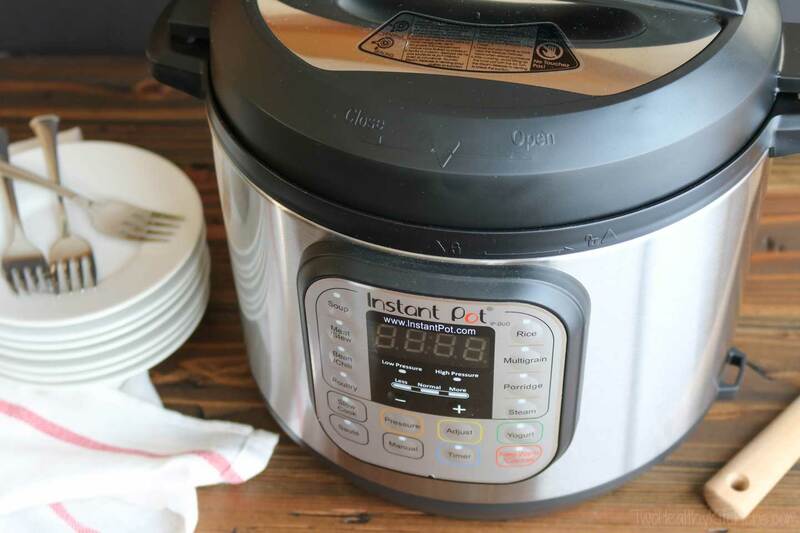 Like most newer electric pressure cookers, the Instant Pot has safety mechanisms to take all that worry out of pressure cooking, and plenty of features to take out a lot of the guesswork, too. But … it’s not exactly the same as those old-fashioned, stovetop models. 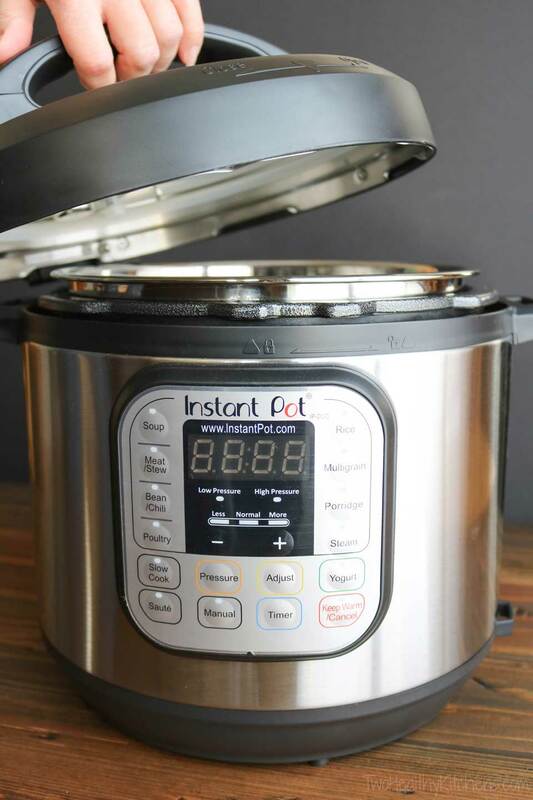 As Daniel Shumski explains in his book (which I am loving) How to Instant Pot, the Instant Pot operates at a slightly lower pressure (about 11 pounds) than most typical stovetop models. So, if you’re looking to convert your grandma’s old pressure cooker recipes, the rule of thumb is to increase cooking time by about 15% to account for the pressure difference between most stovetop models and the electric Instant Pot. Also, the Instant Pot isn’t recommended for pressure canning (which is the thing I remember my mom doing with her stovetop pressure cooker when I was a kid). Coco Morante explains in her book (another that I totally adore) that you can use it for hot-water-bath canning. But, because (as I mentioned above), it doesn’t create as much pressure as most stovetop models, it isn’t considered safe for foods that require pressure canning. So yes … the Instant Pot is, first and foremost, a pressure cooker … but it ain’t your grandma’s pressure cooker (which creates a few differences in how you use it and how you follow recipes). 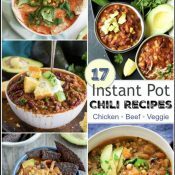 Is the Instant Pot a Slow Cooker? You can slow cook on low and high, just like you would with a typical, single-function “Crock-Pot” slow cooker. The Instant Pot even has delayed start functionality (although for food safety, you shouldn’t delay too long) and, as I mentioned before, a keep-warm function similar to many slow cookers. What will you do with all that? 1) Flexibility! 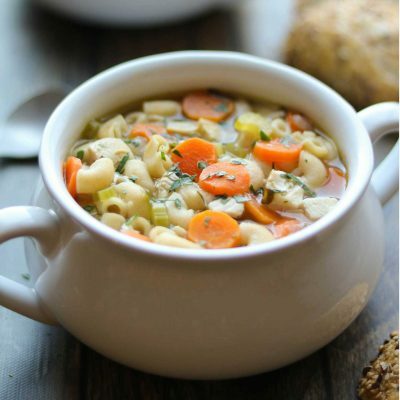 When I’ve planned to make something like soup or chili in my slow cooker, but I don’t get to the store early enough to actually start the slow cooker process several hours ahead, I can typically pivot and use the pressure cooker function to make the same recipe. Boo-yah! And, no worries when hubs calls at the last minute to say he’s running late … I can use the handy keep-warm feature with the pressure cooker, too! 2) The Sauté Function = Fewer Dishes! 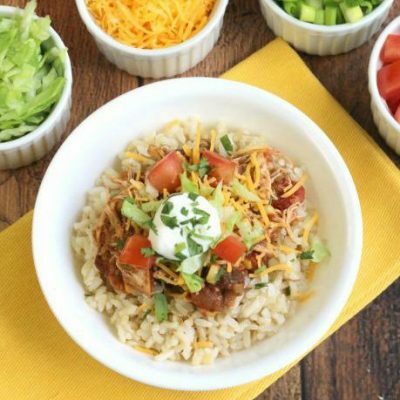 I often used to skip slow cooker recipes that required browning or searing meat on the stovetop before transferring it to the slow cooker. Somehow those extra steps just negated the dump-and-go brilliance of the slow cooker. Plus … then I had an extra pan to wash. The Instant Pot’s sauté setting fixes this! 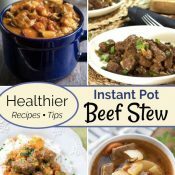 Whether you’re ultimately going to use the slow cooker function or the pressure cooking function, you can begin by sautéing meat or veggies right in the very same pot. Once you’ve got a delicious sear or you’ve cooked up your ground beef, you just flip over to slow cook or pressure cook function … and off you go! Such a little thing, but sometimes it’s the little things that make all the difference – and for me, this is definitely one of those times! 3) Easy Clean-Up! Both the insert and the lid are dishwasher safe. Yay! 4) It’s Fast and Energy-Efficient. 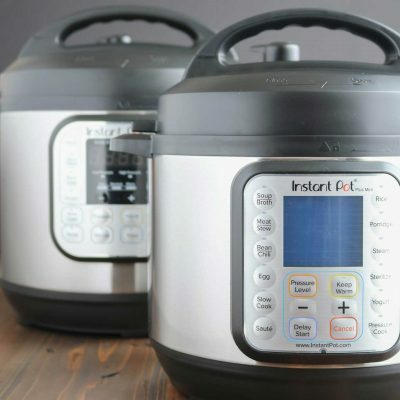 The Instant Pot folks spell it out right up front, claiming that their product “speeds up cooking by 2-6 times using up to 70% less energy.” Depends exactly what comparisons you’re making, of course. But the point is, this is a workhorse that gets the job done quickly, efficiently, reliably. Who wouldn’t love that? 5) Oh, the Possibilities! I don’t own a rice cooker, and certainly not a yogurt maker. It’s not exactly that I wouldn’t enjoy owning them, but I just don’t want to coordinate and store that many appliances. (Plus, most grocery stores have at minimum 723,000 varieties of yogurt on offer … sooooo …) But hey hey – if my new favorite appliance also happens to offer these side benefits, then why not? Plus, I keep seeing Instant Pot recipes for desserts, breads … so many fun things to explore with all of you! You know I love a good culinary adventure! 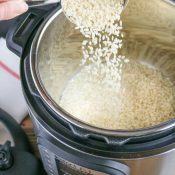 Are Instant Pots Easy to Use? I can already tell that, in the long run, it’s going to be very, very easy to use! Life-changing might be a little too strong, but I think it may come pretty close! This isn’t something that you should plan to rip right out of the box the very first time, as you commence frantically making a meal that you need to have on the table in the next 15 minutes. Just plan to actually read the manual (who does that, right?!? ), and maybe peek at a couple of the books I recommend below. And, start slowly with a few recipes that aren’t too complex. All of a sudden, once you actually do it a couple of times, it all makes perfect (brilliant!) sense. I promise! That’s when you get kind of excited picturing all the possibilities that lie ahead. You just have to take those few minutes to ramp up and get familiar with your fun new cooking chum, ok? After tons of research, I picked the DUO60. But next week, I’ll have some more info to help you out if you’re still deciding. Also, I chose a third book specifically for the recipes (because we adore Indian food and I always wish I cooked it more often): Indian Instant Pot Cookbook by Urvashi Pitre. 3) Extra Inner Pot – This is actually one thing I didn’t buy yet but will probably order next, so I wanted to suggest it to you, too. Both Shumski and Morante recommend having an extra inner pot. 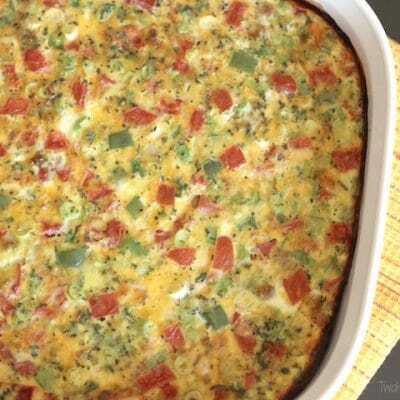 The rationale is that, if you’re preparing a meal that has, say, a main meat and then also a side dish, or a main dish that will be served over rice – if you have two inner pots, you don’t have to clean out your one-and-only insert before making the second part of your meal. Sounds super-handy, and I can already see the benefit, even for beginners. For today, let’s all just pat ourselves on the back that we’re getting started! Psssst … I’d love to hear your questions, and what you want to learn about using the Instant Pot. 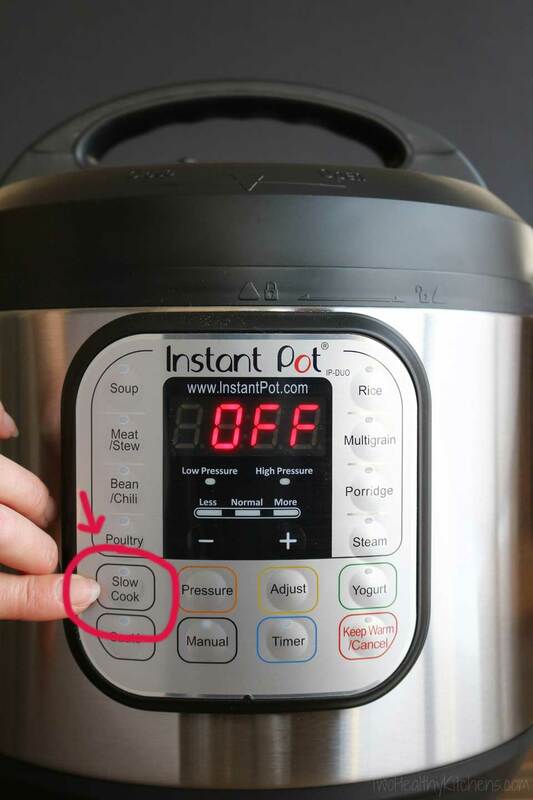 And for all you pros out there: please don’t hesitate to chime in about what you love (or hate) about Instant Pot cooking, and what you’ve personally struggled with or learned along the way! Ready … set … GO! I am VERY excited for this series! I’m a newbie IP user and need all the help I can get. Too much liquid in tonight’s “experiment “ resulted in a geyser of ranch gravy raining upon the kitchen. Super fun! Despite the mess, the pork chops were a hit!